This chapter is devoted to cooperative manipulation of a common object by means of two or more robotic arms. The chapter opens with a historical overview of the research on cooperativemanipulation, ranging from early 1970s to very recent years. Kinematics and dynamics of robotic arms cooperatively manipulating a tightly grasped rigid object are presented in depth. As for the kinematics and statics, the chosen approach is based on the socalled symmetric formulation; fundamentals of dynamics and reduced-order models for closed kinematic chains are discussed as well. A few special topics, such as the definition of geometrically meaningful cooperative task space variables, the problem of load distribution, and the definition of manipulability ellipsoids, are included to give the reader a complete picture ofmodeling and evaluation methodologies for cooperative manipulators. Then, the chapter presents the main strategies for controlling both the motion of the cooperative system and the interaction forces between the manipulators and the grasped object; in detail, fundamentals of hybrid force/position control, proportional–derivative (PD)-type force/position control schemes, feedback linearization techniques, and impedance control approaches are given. In the last section further reading on advanced topics related to control of cooperative robots is suggested; in detail, advanced nonlinear control strategies are briefly discussed (i. e., intelligent control approaches, synchronization control, decentralized control); also, fundamental results on modeling and control of cooperative systems possessing some degree of flexibility are briefly outlined. This is a video showing cooperative capturing of a spinning object via flexible manipulators. Reference: T. Miyabe, M. Yamano, A. Konno, M. Uchiyama: An approach towards a robust object recovery with flexible manipulators, Proc. IEEE/RSJ Int. Conf. Intel. Robot. Syst. (2001) pp. 907-912. Jumping can be a very efficient mode of locomotion for small robots to overcome large obstacles and travel in rough, natural terrain. We present the development and characterization of a novel 5 cm, 7 g jumping robot. It can jump obstacles more than 27 times its own size and outperforms existing jumping robots by one order of magnitude with respect to jump height per weight and jump height per size. It employs elastic elements in a four bar linkage leg system to enable very powerful jumps and adjustments of the jumping force, take-off angle and force profile during the acceleration phase. This 2 min video includes footage of jumping desert locusts, computer aided design (CAD) animations, close ups of the jumps using high-speed imaging at 1000 frames/s and the robot moving in rough terrain. 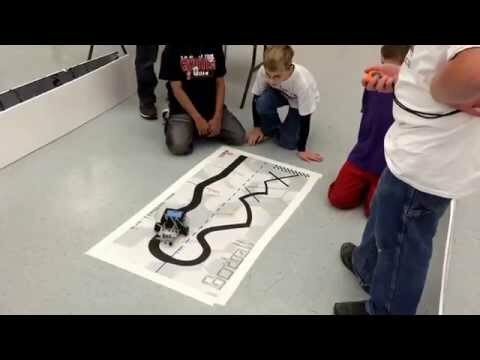 The purpose of this chapter is to introduce, analyze, and compare various wheeled mobile robots (WMRs) and to present several realizations and commonly encountered designs. The mobility of WMR is discussed on the basis of the kinematic constraints resulting from the pure rolling conditions at the contact points between the wheels and the ground. Practical robot structures are classified according to the number of wheels, and features are introduced focusing on commonly adopted designs. Omnimobile robot and articulated robots realizations are described. Wheel–terrain interaction models are presented in order to compute forces at the contact interface. Four possible wheel-terrain interaction cases are shown on the basis of relative stiffness of the wheel and terrain. A suspension system is required to move on uneven surfaces. Structures, dynamics, and important features of commonly used suspensions are explained. 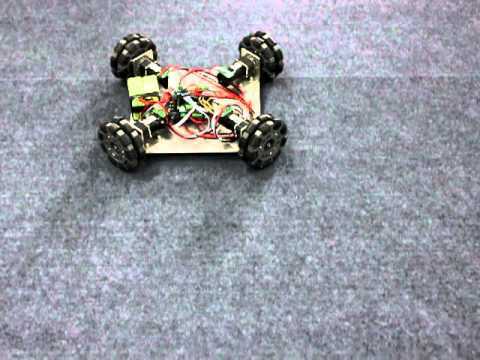 This video shows a holonomic omnidirectional mobile robot with four Swedish wheels. The wheel enables lateral motion by the use of rotating rollers. Although the structure of each wheel becomes complicated, the driving mechanisms of the wheels become simpler. Another advantage is that the footprint locations remain unchanged during omnidirectional movements. The robots play soccer without using encoders or other internal sensors. Only visual information is used as feedback. The robots have an RF communication module. This video shows the preliminary experimental result of an underwater robot named iTurtle developed by KRISO (Korea Research Institute of Ships and Ocean Engineering). iTurtle is especially designed for underwater-structure inspection as an observation class ROV. It has dimming and direction controllable LED and halogen lights and a HD underwater camera, all of which are positioned by four horizontal thrusters. More importantly, its system software architecture is implemented using the structure explained in Fig. 25.7. 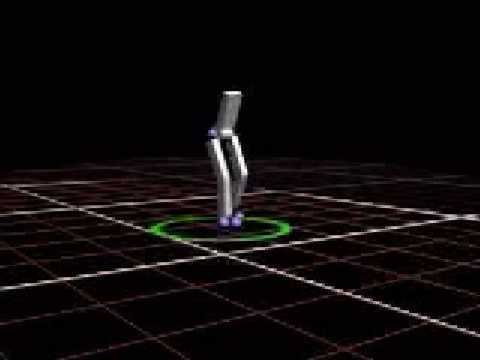 The motion in this video is controlled by a human operator. 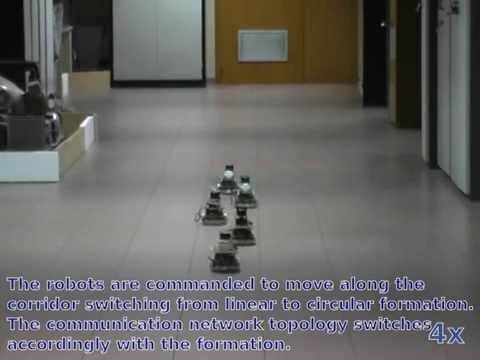 This video shows an experiment of formation control with a multirobot system composed of Khepera III mobile robots using the distributed controller-observer schema.